We see so many ocean rowers cram their boats and their faces with sugary, sweet snacks. Mars Bars, Snickers, flapjacks and Haribo are a great way to boost morale but inevitably ends in a massive sugar crash. In the middle of the ocean after weeks of rowing, physical and physiological crashing is the last thing you want. ”Nutrition is one of the most important factors to having a successful and enjoyable ocean crossing. You are going to feel tired when taking on such an enormous challenge, but if you get your nutrition right, your energy levels will feel like they have doubled.” ~ Angus Collins, Rannoch Adventure Sales and Project Manager, and 4 times ocean rowing world record holder. Balancing your snack pack with plenty of savoury foods is a surefire way of having a good ocean crossing. Biltong is a great addition to any snack pack delivering a whooping 62g of protein per 100g. 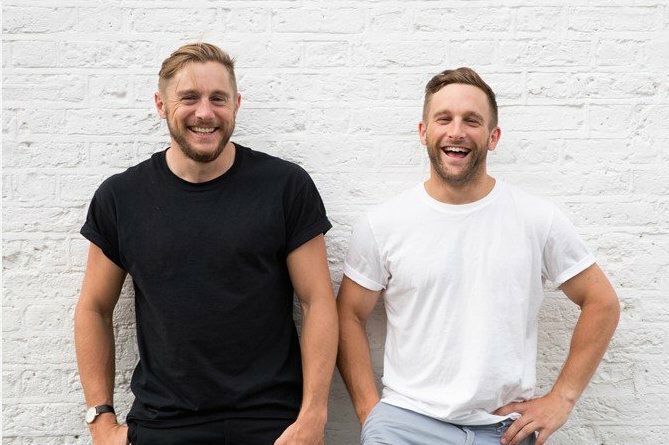 Fellow ocean rower and endurance athlete, Jack Mayhew and his brother Harry, were fed up with searching for the perfect savoury snack so created their own, Ember Snacks biltong. This is number one on our list. We chose a savoury snack because we do not want to eat sugar yet most biltong brands have sugar added to them. Not Ember. It’s just 100% beef with a pinch of spices. No longer will you be sacrificing taste for nutrition. The Ember guys have got the balance of ingredients sussed. Some brands of biltong are like eating a cardboard box or an old shoe. We’d still be chewing on them after 3 days. Ember Snacks have nailed the perfect texture, which means once you get off the oars, you can chow down on your snack pack, then get some much needed rest ready for your next rowing shift. Biltong is a great source of minerals such as zinc, iron, magnesium and vitamin B12 which will replenish the body after a tough rowing shift. 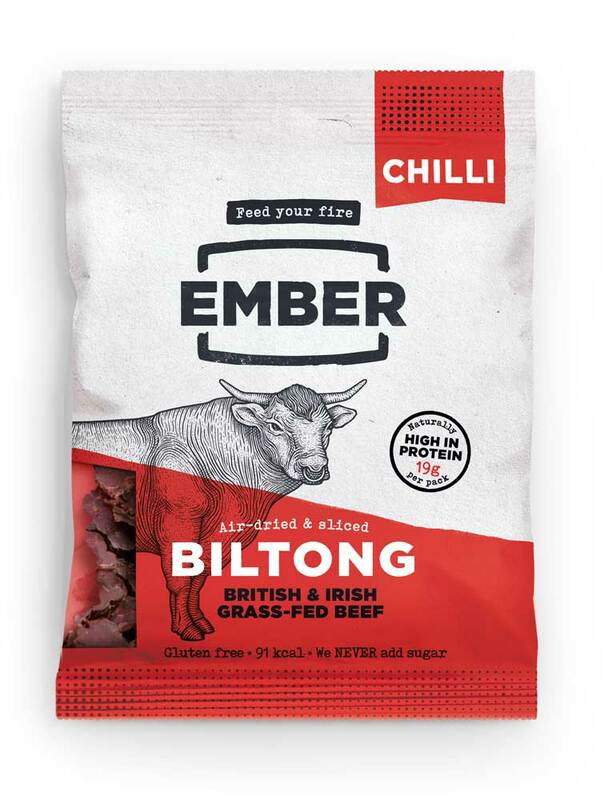 Ember’s meat is antibiotic free meaning you get the best quality biltong for your buck. 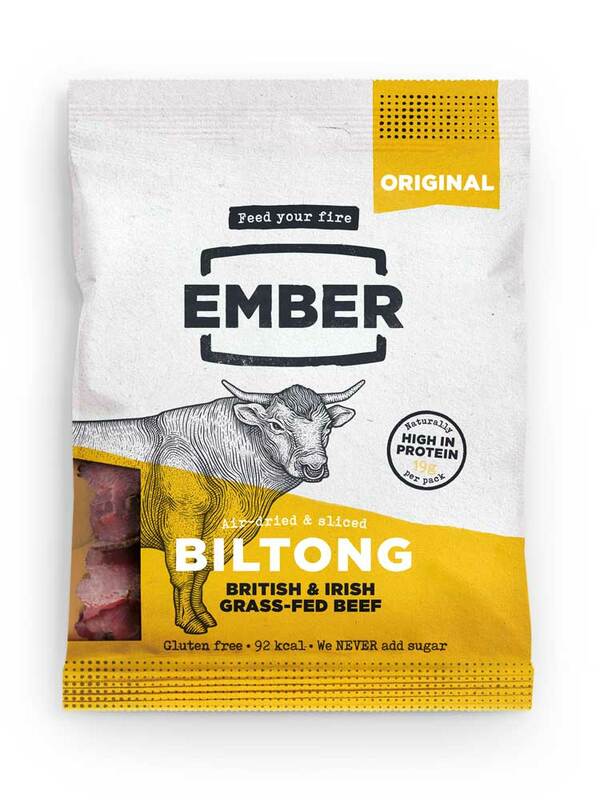 Ember use 100% British and Irish beef sourced from a small number of independent, traditional farms. Having created their own welfare checklist, you are assured the highest animal welfare. Rannoch Adventure are proud to be an official stockist of Ember Snacks. A 30g packet costs £2. Available in boxes of 6.